Home / Linen Tea Towel with Red & Navy Stripe. A teak long handled wood tasting spoon. Colouring of each spoon varies. 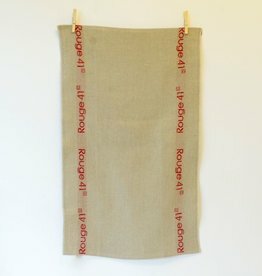 Canvas French Linen Tea Towel with "Rouge 41" borders. Scents of Provence with Lothantiques Authentique Liquid Hand Soap scent ‘Milk’.